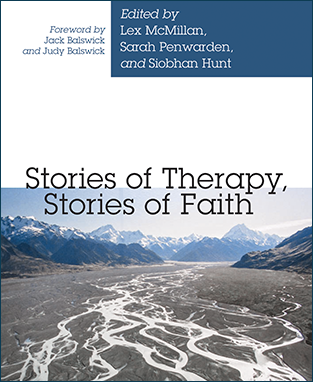 Stories of Therapy, Stories of Faith is a collection of stories from therapists who have amplified the theology already present in their work. In particular, these authors, a group of counselling practitioners and educators, bring forward a dialogue between their practices and a social Trinitarian theology that emphasises the relational nature of God and humans. The resulting stories of practice give voice to the ethical hope that counselling practice is participation in the redemptive story of the Gospel. These authors write about their motivations for practice in initiatives as diverse as parenting, trauma work, opposing bullying in schools, re-engaging orphaned African children with their heritage, providing hospitality for dierence, and counsellor education. Stories of Therapy, Stories of Faith will be of interest to counsellors and counsellor educators, particularly those drawn to developing their ethical and theological commitments within their therapeutic practices. This book has been edited by Lex McMillan, Sarah Penwarden and Siobhan Hunt. Dr. Lex McMillan is a private counselling practitioner and a lecturer in the School of Social Practice at Laidlaw College. Sarah Penwarden is a counsellor and supervisor, and a lecturer and practicum co-ordinator in the School of Social Practice at Laidlaw College. Siobhan Hunt is a research assistant in the School of Social Practice at Laidlaw College.